Steven is looking like he's ready for a nap after his last magical adventure! 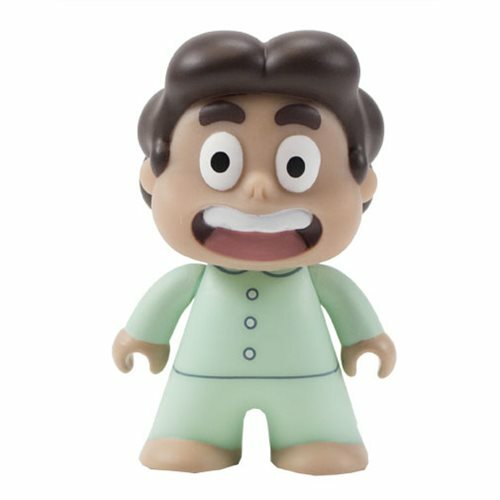 This exclusive vinyl figure features the titular character from Cartoon Network's Steven Universe wearing a his pajamas. The Steven Universe PJ Steven 3-Inch Titans Vinyl Figure - Convention Exclusive measures approximately 3-inches tall and comes packaged in a closed box. Ages 15 and up.